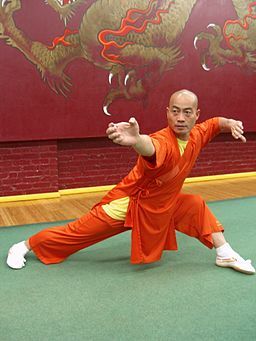 The term “martial artist” contains within it the seeds that make us human. We are a warring people and a peaceful people. Wielding as often as yielding. We are of concrete and sky. Of hard and soft. We embody all—the swirl of human complexity, the loose ends and the constant forward push to cultivate our empty fields. Regardless of your form—Brazilian jiu-jitsu to muay Thai and everything in between—and regardless of your place of practice—renowned dojo or dingy basement—to be a martial artist is, in large part, to engage in the practice of Awareness. The best martial artists are those who have mastered the art of bringing a blank notebook into the places of their perceived knowing: into the new counter to the D’Arce choke or the new way to pivot the hips for a counter left hook. The greatest martial artists are renowned for their conditioning. But one overlooked variable that all great martial artists share is the ability to know precisely when to relax and when to contract—when to flow and when to go. Find those moments of space in your sparring or training and, even if for a brief moment, come back home to your breath. There is a scene in the movie Ip Man, a film named after the Wing Chun master who served as Bruce Lee’s martial arts instructor and mentor, in which a character asks Ip if he’s been training. As the question is asked, the Japanese invasion of 1937 is underway in Foshan, China. Families, including Ip’s, are helpless as their villages are raided and pillaged. Those still alive hang on for dear life to a single grain of rice. Ip’s answer? No. To train means energy expenditure and therefore the need for additional food, he says. Here is a martial arts legend, a man whose love of training comes second only to love for his family, admitting that training is an act loaded with privilege. May we enter into our training with the awareness that it can only happen because a million other variables in life have come together in such a way to allow us to do so. There is perhaps no more radical act in the 21st century than meditation. It’s a courageous act to sit and do nothing, without judgment and distraction, in a world full of both. Carve out time in your martial arts practice. Sit, eyes closed, visualizing the drills or the move you hope to improve on. Science continues to prove the benefits of visualization on physical performance. May we practice seeing our martial art not merely as a means by which we dish out or avoid punishment. But as a form of engaged empathy. Giving our time to others. Whether through teaching our strengths in the dojo or working to better the community outside of it, isn’t merely a gift to others. It’s also a gift to ourselves.